World of SEO constantly changes, and in order not to lose the thread of success, you need to improve your skills and work on your site permanently. Most of our readers are familiar with at least the basic concepts of SEO. 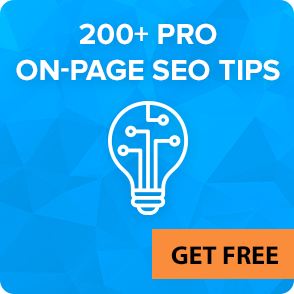 But not all of them have time to follow the latest developments in the field of optimization and new tips that SEOs empirically discover from time to time. 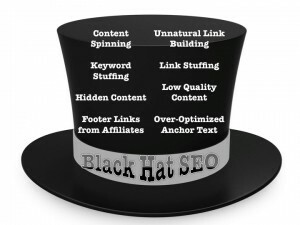 Today we’ll talk about both well-known and know-how “white” and “black hat” SEO tricks. Most likely you’ll find a lot of interesting. Before we come to practical advices and guidances, let’s consider the dynamics of global SEO. What growing trends do we have in 2015? Localization. Google and the other SEs use more and more deep ranking algorithms. Local SEO is rapidly gaining popularity. What users see in the issuance of the entered query now largely depends on their actual geographical location. It has become increasingly difficult for optimizers to predict at what rank site will be placed for different geographic locations. Compiling the optimal SEO strategy, never forget about local factors. Social factors. 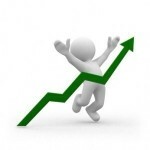 The presence of the transition from social networks can improve site rankings. The influence is not direct, but it still exists. Therefore, the creation of public or community in 2015 is another trend of effective SEO. But do not limit yourself to creating a group – fill it with interesting announcements, previews, and photos, connected and redirected to your site. Mobile optimization. Search engines can’t ignore the increasing demand for mobile devices and the mobile Internet. The site which has a mobile version of an adaptive design got ranked better both in mobile and ordinary web search (Google even created a special tool to check whether it is convenient to use a particular site using a mobile phone). Reducing the impact of low-quality backlinks. Requirements for backlinks are constantly growing, but they continue to remain an important factor in ranking. They must be of a natural view, trust, relevant, and come from authoritative web sources. The leading role of high-quality content. Search engines highly value useful informative texts that are not just technically unique, but also contribute to the improvement of behavioral factors. In addition to textual content, you need to pay attention to photos and videos. Links to homepage put in the bottom of the page, do not transfer any weight. Neighboring links to authoritative resource automatically enhance the importance of each other. When it comes to promoting with articles, try to place links, referred not only to your website, but also to other authoritative resources. Google considers such links as good ones and gives them authority from verified references. Google internal reference relevancy can be checked using “inanchor” operator. It finds both internal and external links. By adding “site” operator you can check which documents are most relevant, based on the reference relevance. Obtained results can indicate if your site pages are competing with each other. “related” operator will show you the associated sites. The term co-citation means websites that are cited together. Thus, it is possible to measure the authority of a website. If the operator shows empty issue or bad neighborhood, then a webmaster should work on this and place the appropriate links correctly. Relinking gives best results if it’s made from words in snippets. Set site search by keyword in Google, and you’ll see what keywords from descriptive part are considered as the most relevant. Adding a reference to a clipboard works better than a complete ban of copying. Scripts can be easily bypassed while link to a source can bring backlinks to your website. DA and PA can be raised by internal links. Small sites are hard to promote, but if you have a large resource you can use internal linking. Use Ahrefs competitors’ analysis to discover platforms for placing links. Google firstly indexes top-level pages. Homepage comes first, and after that, not knowing the structure of the site, the search engine will index pages that are closer to the slash. Later – directories with two slashes. This means that even if links are located highly in the content, they will not necessarily be indexed first. Create optimal structure to place important sections closer to the index, or otherwise Google decides that this page is of a low quality. The fastest way to add a page to Google index is to use Google webmaster panel. In the same way, you can quickly re-index the pages you want. Supplemental Index pages transfer minimum traffic – less than 1%. As many sites have almost half of all their pages in Supplemental Index, crawlers can’t use their resources effectively. Always put 503 code when carrying out maintenance work on the site, otherwise search engines can throw your site out of index (at least you lose some traffic if crawler checks your site twice or more during maintenance works). CDN networks (it’s a separate server, where all the static and, in particular, images are put) are well accepted by search engines. Title length is measured in pixels, not in words or characters. The maximum title length is only 512 pixels, so not-fitted characters are cut off. You can measure title length in pixels using, for example, Photoshop. Google takes into account only first 12 words in title – all others are used as a text. So it is necessary to follow the delimiters used in the title and put non-informative words to the end. Google generates title from different parts of the text, including alt-images. It depends on the request and spam level of current title. If a search engine considers title as spam one then it will fill it with other info. Google analyzes 404 pages as well as all others. You can verify this by checking logs. This page must be included together with links and text, as here Google tests user friendliness. Removal of a publication date in the content section of a site increases Google traffic. Experiment showed that when you remove data, traffic slightly decreases for a short time, and then increases again. It is strongly recommended to use 01 redirects, avoiding 302, since the latter is always accompanied with mishaps and troubles. Promotion of the home page on the brand demands reduces the risk of falling into the ban. Someone promotes site using high-frequency queries, but Google thinks that sites must present themselves as brands. High-quality, but not original images take first positions in search. You can check sites on the same IP using Bing. This is useful, for example, to find competitors’ grid of sites. Using Bing and “linkfromdomain” operator, it’s possible to check a number of outgoing links. To get a link from a site, check whether it already has too much outbound links. After updating the content, site positions can drop first, and only then go up, so do not jump to conclusions at least a couple of days. You can extend the semantics of a site by adding thematic dictionary, as every category has its own specific terms. Two domains are better than one. It is worth to divide a site in a commercial and information domains and support the commercial domain from info one. By buying a context, you can take 4 positions at issue. You can add a call-to-action or a description of the competitive advantages to “bread crumbs” to increase traffic flow. Keyword spamming. It’s probably the oldest trick, extremely hated by SEs. The strategy is about a multiple repetitions of keywords, usually in a very small print. It doesn’t work anymore, so if a page contains this trick, and yet has a high rank, then for sure this is due to some other reasons. In fact, if you attract SE attention to such page, it will be excluded from index. The more acceptable form of spamming is stuffing, which means using keywords in natural sentences. Hidden text. Initially, hidden references were used to indicate crawlers the path to internal site pages. Analyzing the source code, a robot found links and indexed internal pages. Currently, hidden links are one of the most deprecated strategies. However, pages optimization is always divided into two different areas: pages with high rank and user-friendly pages. Unfortunately, these areas are very far apart. As a result, optimizers are constantly struggling to please everyone. The idea of a hidden text is to add keywords, phrases and sentences that could be indexed by SEs, but invisible to visitors. The practical implementation is quite simple: just set text color (<font color = # ????? ?>) nearly the same as the background color (body bgcoior=#??????>). Doorway pages. A few years ago such pages were a standard way to create rankings. The essence of the method is creation of a separate page, focused on one particular keyword or phrase and redirected to the main page. Each component of a doorway page is focused on target key phrase highlighting. Meta and Java redirection. If you clicked on a link and noticed that another page is immediately loaded, it means the previous page was a page of redirects. Usually redirection occurs quickly, and all you can notice is the change of URL. One of the most common uses of redirect pages is to send visitors to the updated pages instead of outdated ones. Still, in some cases redirect page is used with only one purpose of sending a visitor to the home page. Hidden link texts. It involves the use of CSS for layout of text and links to give a site some ranking advantages. This technique can help crawlers to find other pages of the site and see reference images as a text. Since most search engine spiders can’t read the reference images, they look disapprovingly on such links. DHTML spam. DHTML is a dynamic HTML. DHTML allows content to be visually organized at different levels. Using layers, spammers can hide keywords, visible to crawlers. 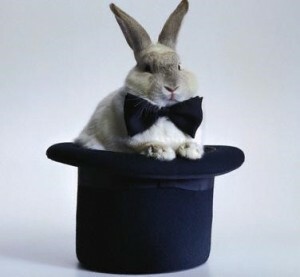 Blackhat SEO tricks bring temporary results. The latest SEO tricks can move your site to the top, but for a very short time. Each new update of search algorithms can bring you a severe retribution by lowering site positions or even exclusion from the index. It’s quite easy to apply any of “clever” tricks, but practically impossible to restore reputation in Google’s eyes. It’s much better to create quality content, build a code, quality backlink profile, and make people share your content, than completely change everything you do with blackhat.